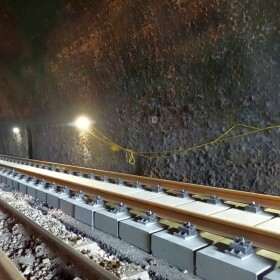 On the basis of the proven advantages of the rail fastening system 300, Vossloh has developed system DFF 304 as a single support point for slab track. The use of durable plastic components ensures corrosion protection and electrical insulation. Futhermore, the light-weight material also provides logistic advantages and an easier handling during installation.